Judging by price performance, 2016 has been a fairly friendly year for Bitcoin trading, thus adding color to forex trading market. A combination of global economic turbulence, speculations over the potential impact of Bitcoin halving, and constantly increasing number of brokers offering Bitcoin trading has helped lift the price of the digital currency to multi-month-high this year. In mid-June, Bitcoin soared, gaining significant ground against the dollar as BTCUSD currency climbed above $750. The gain came amid global economic turbulence as the world worried about an economic slowdown in China and the potential impact of the Brexit vote that was only a few weeks away at that time. Mixed economic data from the U.S. that kept the Federal Reserve from hiking interest rates also added to the mix of bad economic news that drove up the appetite for Bitcoin, which has acquired the distinction of the world’s new “safe-haven” asset. The other uncertainty has been the coming U.S. presidential election, which typically affects the strength of the dollar. The reward for mining Bitcoin is set to be halved and that will likely result in a supply shortage. Some traders have been speculating that the shortage will push up demand for Bitcoin, thereby lifting its price. As such, those with a bullish view of halving of Bitcoin mining have been building long positions in the cryptocurrency, thus helping sustain lofty prices of the Bitcoin that have characterized 2016. So far in 2016, Bitcoin prices have averaged above $600, though it had a slow start to the year. The price of the digital currency averaged $372.27 in January, scaling to $433.92 in February, before unwinding in March to $413. But since May, Bitcoin monthly price stayed strongly above $500. But 2016 has also been characterized by losses for Bitcoin exchanges. Bitfinex of Hong Kong has so far this year suffered the largest loss following a breach on its system. The exchange reported that hackers made off with $65 million in Bitcoins after they compromised its platform. Bitfinex halted trading in digital currency following the attack. Several other Bitcoin exchanges and brokers have been targeted by hackers this year. Several analysts, including investment banks, have weighed on the likely direction of Bitcoin in 2017. The predictions generally imply that Bitcoin prices will continue to rise in the coming year. Analysts at Juniper Research have not issued a specific price target for Bitcoin in 2017, but they believe that transactions in the digital currency will rise sharply in the coming year to $92 billion. A growth in Bitcoin transactions should lift prices along with it. As per the analysts at Wedbush Securities, Bitcoin price will likely double in 2017. Given that the firm is predicting a $600 price of the digital currency in 2016, it means it sees the price in 2017 in the vicinity of $1,200. Some other individual analysts have been more bullish on Bitcoin, saying there are several catalysts that would push the digital currency strongly above $1,000, perhaps up to $3,000. Buying ahead of the anticipated Bitcoin supply cut is seen as one factor likely to drive up the price of the cryptocurrency in 2017. Venture capitalists have also recently shown growing acceptance of Bitcoin and digital currency technology, thus pouring their money in companies focused in blockchain activities. 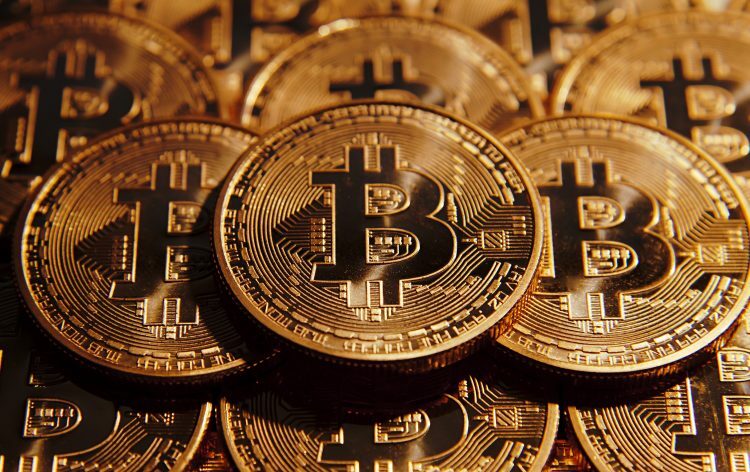 Continued economic uncertainty in Europe and other parts of the world is also seen as a possible catalyst of Bitcoin price rally as traders buy into the safe-havens digital currency. However, Europe has also been cracking down on retail forex brokers it is not clear what impact that would have on the prices of Bitcoin.